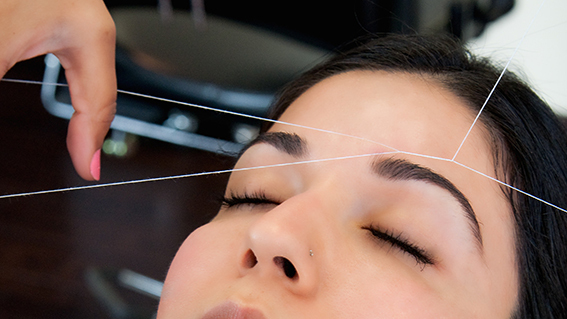 Threading is an method of hair removal originating in the Eastern world. Therapist use a thin, sterilized cotton thread which is twisted around and rolled over the area of unwanted hair which plucks the hair at the follicle. Threading is perfect for the straighter more angled brows. This method of hair removal is fantastic all over the face(eg. lip, chin, sides of face) removing the fine hair that makeup gets lost in.